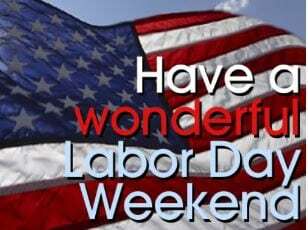 Happy Labor Day from Soriant Solutions! Traditionally the last official “summer” weekend, Labor Day is a chance to celebrate with food, parades, ballgames, and shopping. Nearly 128 MILLION Americans will enjoy a family cookout. Hundreds of thousands will tailgate and support their favorite college football teams in packed stadiums. The roots of Labor Day date back to 1880’s New York City, where rival union leaders joined together to protest unfair labor practices which plagued industry at the time. Shortly after that, 30 workers died at the hands of federal officials during the Pullman Strike. Thirty states joined together to celebrate Labor Day before it became a federal holiday in 1894. Because of the diligence of these early pioneers, the industrial fatality rate has fallen by 97% since the early 1900’s. At first, they were afraid that the celebration would fail. Many workers in the parade lost a day’s pay to participate. When the parade began only a handful of workers were in it, while hundreds of people stood on the sidewalk mocking them. By the time the parade ended at the park, the jewelers and bricklayers’ unions had joined in with their bands. Ultimately there were an estimated 10,000 marchers in the parade. Because of these forerunners who helped build the strength and prosperity of the United States of America, we get to celebrate the contributions of the working class. Sometimes the true meaning of Labor Day gets taken for granted. Our kids get a free day from school, and we get a paid holiday from work. Make sure at some point this holiday weekend we remind the family that this is a super-important national holiday which honors the labor movement and all those who work hard in the United States. Take them to work! Show them around and allow them to meet different people who can talk to them about their jobs too. This is a great way to expose kids to various types of work. Talk about how each specific job is important and how each person contributes to the company and society. Put them to work! Teach your kids early the value of work ethic and having passion for what you do. Even the littlest ones can participate by doing chores. As they get older, babysitting, newspaper delivery, pet-sitting, or helping with neighbors or at church can start them on the road to earning money. Discuss how they can help other kids – tutoring younger children or volunteering at camps or clubs. And as children become more excited about working, take them to the library. Look for books to teach about different jobs, and how everyone’s work is important to the community. No matter what you do to celebrate and share the important of work, it matters. This holiday weekend let’s remember those who paved the road for us. And let’s pay-it-forward to the next generation so that they can do their part to keep our country strong and prosperous. Happy Labor Day! With more than 10 years of expertise in corporate office management, Debbie is recognized as a talented organizational leader. She utilizes her experience in accounting and auditing operations, skilled verbal and written communications, and customer service to improve company profits while keeping client services at the forefront. Clients enjoy working with Debbie, as she is a cheerful, conscientious team player with strong organizational and analytical skills. She cultivates strong relationships by consistently delivering exceptional results.